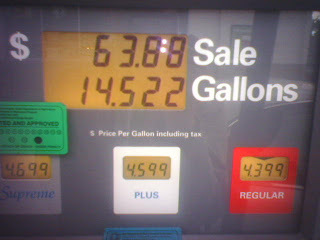 I don't really like paying over $60.00 for a tank of gas. Just sayin'. Sick. I am so glad I can ride subways here. AMEN! Gas if $4.53 a gallon in California. That hurts. I filled up the truck in Arizona and it cost over $100. And that was at Costco!